Blood pressure is commonly measured to determine at what rate your heart pumps blood into your blood vessels. High blood pressure occurs when the heart works overtime. It will pump harder in order to provide the body with blood. High blood pressure, also known as hypertension, is a dangerous occurrence. It will cause hardening of arteries, strokes, kidney problems, and inevitable heart issues. 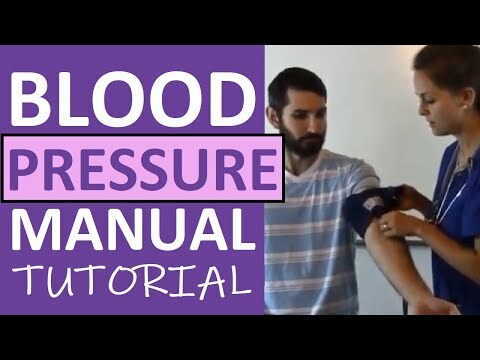 Blood pressure is measured with two indicators which are numbers. The top number is called the systolic, while the lower number is named the diastolic. Low blood pressure is usually considered when your numbers read 90 over 60 (90/60) and less. If your blood pressure is between 90 over 60 and 120 over 80 it is considered healthy. These results are seen to be as ideal measures for blood pressure. If these are your results you should keep doing what you’re doing. When your blood pressure is between 120 over 80 and 140 over 90 it means you have somewhat high blood pressure. It is not alarming or unhealthy just a bit over the limit. Follow your health carefully and try to lower the numbers. If you make some minor changes to your eating habits and lifestyle it will benefit you a lot. If you have a genetic tendency to develop high blood pressure you should be even more careful. When your blood pressure is higher than 140 over 90 you have hypertension or high blood pressure. This is a dangerous health issue which you need to address as soon as possible. Consider any change you can make to your lifestyle and stick to it. Consult your doctor about medication and what are the necessary steps to lower your blood pressure. Don’t take any chances because it can be hazardous. Apart from introducing physical exercise and healthy eating habits, remember to reduce your stress levels. This can easily cause high blood pressure. When your top number is 140 or more you might have high blood pressure. This can occur regardless of your lower number. When your bottom number is is 90 or more this can also indicate high blood pressure. In some cases, this is a high blood pressure indication regardless of the top number. All of us have been through at least one excruciatingly painful process of being sunburn for a couple of days. This seemingly unavoidable nuisance takes a toll on your physical and mental well-being. If you wish to get through it efficiently we have some helpful tips and tricks to alleviate your pain and discomfort. Your body temperature will inevitably go up when you are sunburnt. Your skin makes influences your temperature and can cause a very uncomfortable sensation. You will feel as though you are burning up. Think of any ways to cool down. Take long cold showers, swim in cool water if you can, and spend time in air-conditioned space. Consider getting a fan and lying under it on a daily basis. It helps if you moisturize your skin with cooling creams. This will help you feel at ease and soothe your skin efficiently. Do not forget to take in a lot of fluids. Your body is still in a state of shock and will perspire a lot. You will need all the extra fluid it sweats out. If you have obtained second-degree sunburn you will probably have some blisters on your body. Do not attempt to pop or touch the blisters. This will slow down your recovery and you might be risking an infection by tampering with blisters. Not to mention it will hurt to have open wounds. Once you’ve recovered from a sunburn, try to protect your skin as much as you can. Do not go out in the sun, cover yourself with light colored breezy clothes, keep hydrating your body with water, and nurture your skin with lotion. If your level of discomfort reaches its pinnacle, don’t hesitate to help yourself with medication. Take aspirin or ibuprofen to help alleviate the pain. Once your stress levels are down your body will recover faster. If your body is under a lot of stress, both physically and mentally, it will take a longer time to recover. You have to arrange some stress relief methods and keep your body and mind cool. Don’t forget to get a good night’s sleep if you wish to recover sooner. Struggling with extra weight is a common issue which can cause problems with your over health. To help you deal with here are some helpful and easy-to-achieve instructions. Many people have distractions around them all the time. These are mostly snacks, candy, juice, or any other reminder of food. In order to help yourself, you need to get rid of these distractions and get some new ones. You are less likely to think of eating if it is not right in front of you. This will help you concentrate better on your daily tasks. In turn, you will be more present once you actually do have a meal. If you follow your daily eating habits you will find out a lot about yourself. This will, in turn, help you detect wherein the problem lies. For example, maybe you eat excessively in the evening. This is a recipe for extra pounds and can cause many health problems. On the other hand, you might have sweet tooth which is also a bad habit. If you substitute your sugar intake with fruit you will lose weight and get healthier in no time. It makes a big difference to be mindful of how you eat. Pay attention to the amount of food you eat per meal. Avoid eating from fast food containers. Try to put everything on a smaller plate to have some portion control. If you eat directly from containers you will trick yourself into thinking that it is a standard serving even though your body might need less food. Cherish every bite you take and take your time while eating. When choosing foods you are going to eat be sure to know their nutritional value. Try reducing your intake of fats and sugars and you will immediately feel a difference. If your diet consists mostly of foods which are rich in fiber you will be full and lose weight at the same time. If you wish to snack in between meals try eating nuts or fruit. 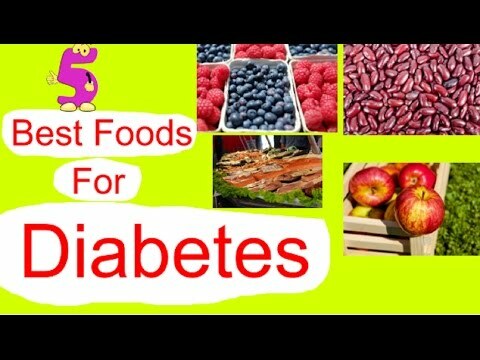 These food items are nutritious, healthy, and will keep you full until the next meal. We have comprised a list of skin devices you can use on a regular basis. They will help you improve the condition of your skin the long haul. This device is primarily used to buff out any imperfections on the surface of your skin. It will exfoliate the first layer of your skin making it look silky, smooth, and healthy. Some of these skin smoothers even have the option to vacuum the dead skin cells which are exfoliated. It is much better and cheaper than going to a dermatological treatment or a beautician. What is more, it is much more effective than cleanses, scrubs and other such treatments. You will be able to use this device over and over again and have the same satisfying results. You can use this device just for a few minutes and see the result as soon as the new day. It is more affordable than laser treatment and less demanding than restrictive diets. The wrinkle eraser will show you results once you’ve been using it for a certain period of time. It is good for people who have the patience to wait for results for a good 2-3 months. On the bright side, it is fit for sensitive skin and most importantly, it is not harmful to your skin. This is a long-term solution to skin imperfections. It will help you get rid of spots left by acne, any discoloration such as redness on the skin. It does not deal with wrinkles but is a life-saver for anyone who has hormonal acne. You will be able to see a change in your skin after three sessions. This is truly a wonder of technology. It helps you with any hair issues you might come across. Apart from helping you decrease your bodily hair, it will help prevent ingrown hairs, possible bumps, and other imperfections caused by shaving or waxing. Similarly to laser hair removal, you will have to pass a certain period of time before seeing drastic results. The temporary tightener is mostly used for facial features. This device usually used to help with lifting cheekbone skin, the skin around eyebrows, and jawline skin. It is considered a very efficient device since it shows results only after one session. It is not painful not damaging to your skin. Technology causing Americans to sit more than ever: Total daily sitting time increased about an hour a day for teenagers and adults between 2007 and 2016, and television isn't to blame. It is driven largely by more leisure time spent with a computer, finds the new JAMA study (n=51,896).